Enhance your event with one of our inspiring MUSIC & MEMORY® experts. Click here to arrange a speaking engagement. 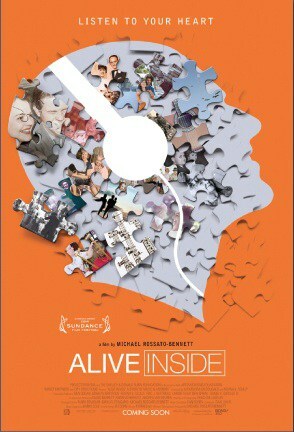 To request a screening of Alive Inside at your event, please contact us using the form below. Dan first had the idea for Music & Memory when he wondered how he could still enjoy his favorite ’60s music if he ended up in a nursing home. His inspiring stories of how personalized music is transforming the culture of care and his extensive experience with training care professionals to create a successful Music & Memory program combine for an outstanding keynote presentation. Dan travels widely from Music & Memory’s headquarters in New York City. As a Regional Director for Music & Memory, Deborah promotes awareness of the therapeutic impact and benefits of personalized music to enhance quality of life and improve treatment outcomes for individuals with cognitive, intellectual, mental and physical challenges.Through motivational and informative presentations, collaboration with clinical teams, design of program resources and web-based trainings, Deborah engages and supports health and elder care sector professionals, community organizations, and Alzheimer’s support entities to provide personalized music to the clients and individuals they serve.Deborah promotes program best practices for long-term success and sustainability. Her work in establishing partnerships, as well as encouraging initiatives and grant opportunities through corporate, state provider associations, and government agencies, has yielded positive results for countless individuals, family members and caregivers. Her passion for this personalized music program was spurred by her own mother’s reaction to personalized music over the course of her sixteen-year Alzheimer’s journey. Maribeth is a Doctorally-prepared Psychiatric Nurse Practitioner specializing in dementia comfort care. She uses music extensively as an evidence-based practice to optimize well-being for those she serves. Maribeth successfully integrated Music & Memory at Hospice of the Valley in Phoenix, and finds great fulfillment in helping other organizations do the same. An expert in the benefits of personalized music, she can speak to the issues unique to palliative and hospice care, as well as respond to a wide range of behavioral and implementation questions. Maribeth is located in Phoenix, Ariz.
Stephanie grew up in a small town where neighbors knew each other and looked out for elders, who were respected for their wisdom earned from experience. That worldview has guided her professional career in her home state of Texas. Former Director of AGE of Central Texas Adult Day Health Center, where she pioneered person-centered care, Stephanie is VP of Education and Training for the Texas Culture Change Coalition. She has also served as President of the Adult Day Health Care Association of Texas and helped to pass legislation securing dignity and autonomy for elders. Stephanie is inspired by those who think differently and believes that creative collaboration is key to positive change. Robin’s 40 years of experience in the field of dementia care rings true to her heart. As a Certified Therapeutic Recreation Specialist and Certified Dementia Practitioner, she enjoys sharing experiences where best practices and culture change can flourish. For Robin, having moments of joy with the people she serves and bringing field-tested, enhanced tools to the career is an honor and life journey. Robin is based on Long Island, N.Y.
Letitia brings a love of discovery and sharing to the process of outreach, education and program implementation. From exploring the art of creating a truly personalized playlist to explaining the details of implementation, she uses personal stories and hands-on experience to inspire and motivate. Drawing on a background in film music, Letitia shares creative solutions that not only help participants to find joy, but also that enable family and care staff to experience how their music choices enhance their loved one’s quality of life. Letitia is located in San Diego, CA. Ann specializes in long term care program development, with an emphasis on culture change and creating a culture of retention for front-line staff in nursing homes and home care. As Residential Care Policy & Strategy Consultant for the Alzheimer’s Association in New York, she is currently coordinating a pilot program to improve palliative care for persons with dementia in nursing homes. A founder of the National Citizens Coalition for Nursing Home Reform, she is a Music & Memory board member. Ann is based in New York City. For questions or additional information, please contact us through the form below. Please include event type, event date & time, anticipated number of attendees, desired length of talk and event sponsor. Will you be screening Alive Inside?